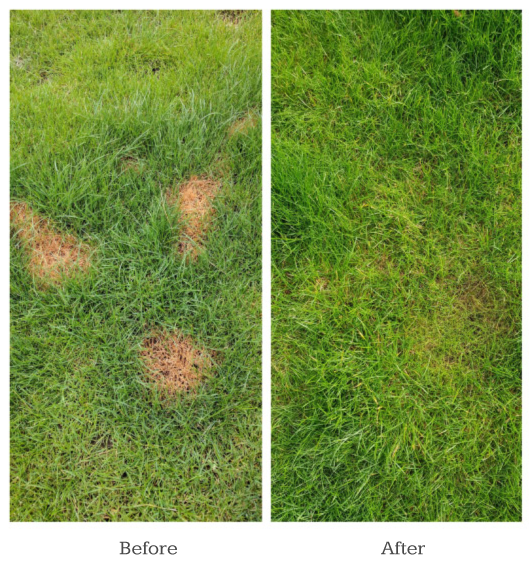 Dog Rocks will help stop pet urine burn patches ruining your lawn, grass and hedges. One pack of Dog Rocks in your dog’s water bowl will keep your lawn in tip-top condition for up to 2 months. Many products claiming to cure your lawn of burn marks will lower the pH of your dog’s urine, which can cause urinary tract infections when used long term. Dog Rocks work by removing the nitrates from your dog’s drinking water and proven to have no change to the pH balance of your pet’s urine, it’s as simple as that. The original, 100% natural solution to prevent dog urine burn marks on your lawn. Pet parent and vet endorsed worldwide. CAUTION – Do not be fooled by other products claiming to be as effective as Dog Rocks; our’s are original, authentic, regularly lab tested, pets have been using our products for well over 15 years and we guarantee that they will work in 9 out of 10 cases.  Scroll down for more details on how Dog Rocks can save your lawn! Dog Rocks placed in your dog’s water bowl are the only 100% natural and hassle free solution to urine burn marks on your lawn and shrubs. Safe for all household pets, Dog Rocks do not change the pH balance of the dog’s drinking water or urine; you are not medicating your dog in any way and there are no known side effects. First discovered in Australia in the late ’90s, Dog Rocks® were tried and tested for many years and are now used by over a million dog owners worldwide to help stop pet urine from burning their grass. CLICK HERE TO SAVE YOUR LAWN TODAY! In times of hot weather you MAY need to “up” your dosage of Dog Rocks purely because your dog will be drinking more water. You could put one pack of Dog Rocks in your pet’s water bowl and one pack a jug/pitcher of water and decant from pitcher to water bowl. Remember you need one pack (200g) of Dog Rocks in every water bowl your dog drinks from. Try to restrict them drinking on a regular basis from puddles, rivers and streams where you can. Every dog, household and situation is different but once you have found out what “dosage” suits you and your situation, there is no reason to have burn patches on your grass. From our tests we have found that Dog Rocks works in 9 out of 10 cases. Dog Rocks® isn’t a miracle cure! It won’t bring dead lawns back to life right away, you may need to re-sew and water, but in 9 out of 10 cases it will stop new patches from forming with continual use. We find that Dog Rocks work for about 9 out of 10 households because every dog, every situation and every household is different. Please read all instructions for use and remember you need 1 whole pack or 200g of Dog Rocks in every 2 litres of water. "Dog Rocks are fantastic… what a difference!" “I just wanted to let you know how great my lawn is looking now Molly (my Jack Russell) is on Dog Rocks. Our back garden was looking very patchy due to the dog urinating on the grass, but after 3 weeks I could notice a real difference...lots of new growth and no more burn patches. I'm sure with Spring around the corner we will be able to enjoy our garden once again." "What would I do without them?!" "Dog Rocks are working a treat for my grass and I am now on my second pack! I would definitely recommend them to our clients." "Great stuff! I’ll have the whole street using them soon! I’m a happy man now, I just think carry on dogs I don’t care… cheers! I think all dog owners should use them!" "I can confirm my lawn is much better even in the drought!" "My Lawn is the best it has looked for years, what an incredible difference… and a happy dog!" Dog Rocks are a coherent Rock with a mechanically stable framework meaning no significant mineral particles are released into the pet’s drinking water. In other words, Dog Rocks do not break down or leak anything into the pet’s drinking water. Dog Rocks provide a stable matrix and a micro-porous medium in which active components are able to act as a water purifying agent through ion exchange. So when placed in water, Dog Rocks will help purify the water by removing some nitrates, ammonia and harmful trace elements thereby giving your dog a cleaner source of water and lowering the amount of nitrates found in their diet. This in turn lowers the amount that is expelled in their urine. An overload of nitrates in urine will cause lawns to burn. 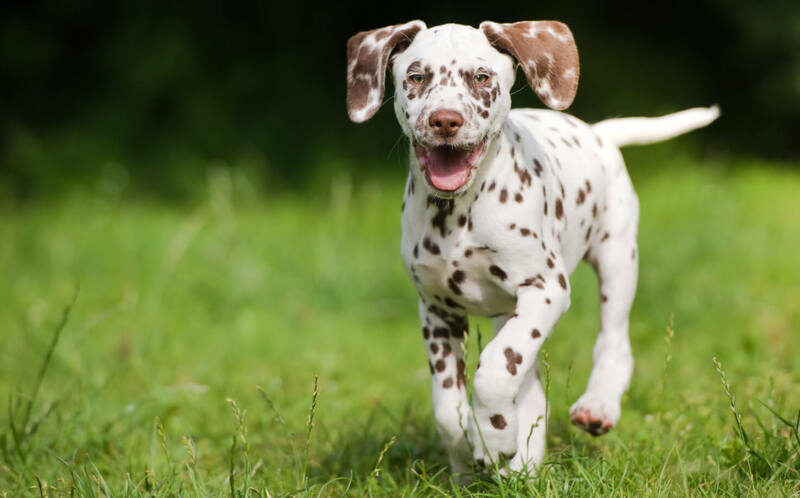 Dogs do produce nitrates as a by-product from the protein in their diet, but the difference between too much nitrate that will kill the grass and the amount of nitrate that will be good for the grass is very small. Can I use Dog Rocks with a pet fountain? Yes we have customers who use Dog Rocks with pet water fountains very successfully as the water is the same water, it is just being pumped round in a cycle. Where do Dog Rocks come from? Dog Rocks come from Australia. Tests are carried out to ensure that the supply is consistent year on year. The source of the Rocks is native and unique to a particular area in Australia and despite spending on tens of thousands of £ & $ with the best geologists on the planet, we are yet to find another source, so watch this space! Will Dog Rocks harm my dog’s health? Dog Rocks are 100% natural and will not change the pH balance of your dog’s urine, so they will not harm your dog at all. Please make sure you follow the directions of use. Why do I need to change my Dog Rocks every 2 months? Dog Rocks act like a sponge or a filter; they reach their saturation point after this period and are no longer able to absorb any more impurities. How long do Dog Rocks take to work? Dog Rocks take just 8-10 hours to start working in the water. After 8-10 hours no new burn patches will occur….however it won’t fix the old spots! With proper lawn maintenance you will see vast improvements in 5 weeks. You won’t see any difference in the rock when it’s working. Will my dead lawn come back to life by using Dog Rocks? Dog Rocks are used to help prevent those nasty urine burn patches; they cannot bring back dead lawn back to life. However, with proper lawn care you will start to see a noticeable difference in around 5 weeks. My Dog and cat share the same water bowl, is this ok? Yes, Dog Rocks can be used for cats with great effect and in the same way. Dog Rocks are a 100% natural product with no side effects and no change to the pH balance of your pet’s urine. Our studies have shown and our sales have proven that Dog Rocks are safe for all breeds of dogs, cats, rabbits and any other pet you share your household with. We do not however market Dog Rocks for cats as it is impossible to ensure they only drink from the bowl with the Rocks in. Cats wander in ways a dog can’t and we have no way of knowing where else they drink from. Unfortunately there are no benefits to the cat urine smell – it makes no difference at all! If I take my dog to work with me or he stays with me at friends/relatives, do I need to take the Dog Rocks with me? Yes, for best results you will need to ensure that your dog always drinks from water that has been filtered by the Rocks. Can I still clean my dog’s water bowl and replace the water? Yes you can change the water as usual, try to change it every couple of days and just top up at night after your dog’s last drink. Sticking to this practice means that the Dog Rocks have as long as possible sitting in the water. Why are Dog Rocks only found in Australia? Igneous Rocks are common worldwide. Igneous Rocks are not consistent & the cooling speed after eruption from the earth’s core will alter the internal Rock structure. Research & development is continual & samples from around the world are being tested to find other sources in order to reduce our carbon footprint & shipping. To date we have found no match. Watch this space!